Providing stimulating and holistic learning environment with a phenomenal faculty at the forefront. Providing career focused education for our student. Developing programs that are in line with the market demands. Offering an enriching academic environment where our dedicated staff members offer their best output and students are encouraged to show their best performance. Organize guest lecturers whereby people from the Industry come and address to our students on particular subjects ranging from soft skills development to explaining technical subjects such as software development; quality and testing; Internet of Things; Cloud Computing; mobile development and many more. As a student of Computer Science, you will develop the theoretical understanding and the practical skills to build software systems that will address current and future challenges. Our program provides a broad spectrum of courses and labs to give you the expertise and proficiency needed to thrive in our modern society. Experiential learning opportunities like hands-on labs, project-based courses, research projects, Industrial Visit and internships provide a solid foundation to work in interdisciplinary teams that invent the future. Our faculty and students are constantly striving to excel and to advance the state of the art in computer science. I invite you to be part of our efforts as we propel the Computer Science Department to ever-greater heights .In closing, I hope you will enjoy our website and welcome you to the Department of Computer Science. Head, Department of Computer Science Engineering. Computer Science Engineering is the most prevalent course for the Engineering aspirants. The fastest filled branch during the counseling of the top engineering colleges is none other than the Computer Science Engineering department among different branches. Computer Science engineering deals with design, implementation, and management of information system of both software & hardware processes. 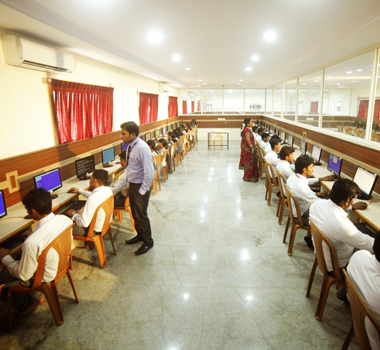 World class infrastructural facilities and the latest model computers equipped with updated technologies gives the students an everlasting learning experience. The department has dedicated faculty members to offer high quality teaching services, and they are more than capable of that, due to the top qualifications and exhaustive experience they have. The Department of Computer Science & Engineering started the Bachelor of Engineering programme in Computer Science and Engineering with an intake of 60 students. The programme is supported by good infrastructure facilities and has good placement records every year. About 10% of the students pursue higher studies. The Department of Computer Science & Engineering started the Master of Engineering programme in Computer Science and Engineering with an intake of 24 students. GATE scholarships are offered to eligible candidates. Students who successfully complete the programme are employed in the industry. To impart the importance of teamwork, independent & innovative thinking and leadership qualities. To generate new knowledge and technology for the benefit of the society through quality research. Well ventilated and furnished classrooms. 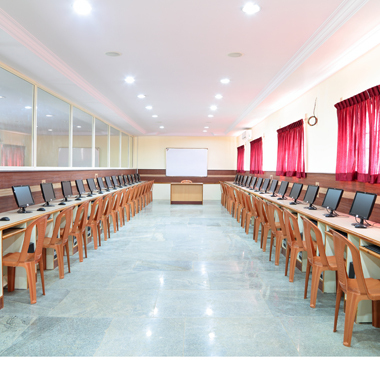 E-class room facility with LCD Projectors. The department of Computer Science and Engineering has well equipped laboratories to meet the quality education required for present challenging social and industrial needs. Internet Lab facility is open to all the students in the campus. High speed Broadband connection from Cloud7 provides very good performance in all the machines. This lab is utilized by B.E students for programming in languages such as C, C++ etc. students also utilize this lab to do their mini projects and to carry out the related research activities. It is designed to meet the high-end requirements for doing Mini projects which is part of the B.E program. Computers in this lab are equipped with, to be able to run special lab programs such as CAD/AutoCAD. Cloud Computing Research Lab is an interdisciplinary research lab aimed at providing cloud computing research facilities for students and the staff. This lab supports the core lab courses in the M.E curriculum like Operating Systems lab and Network Simulations lab. This lab provides opportunities to learners to practice their communicative skills to make them become proficient users of English. E-SPART2017, the national level technical symposium, on 21 February, 2017. A National Conference on “Recent Innovation in Emerging Trends” was conducted on 2016. A two days Hands on Training on “Android Mobile Application Development” on 2016. Two day’s workshop on “GRID and CLOUD computing” on 2015. Two day’s hands on training on “Network Design using CISCO packet tracer” on 2014. A Two Day National level seminar was conducted based on “Virtualization & Cloud Computing” on 2013. A two-day workshop on “Image Processing Through Mat Lab” on 2013. Two day’s workshop on “CP7112 Case Study Network Design Lab”on 2013.